Stunning fashion ring jewelry in high quality designs. Sought after popular gift for all occasions. 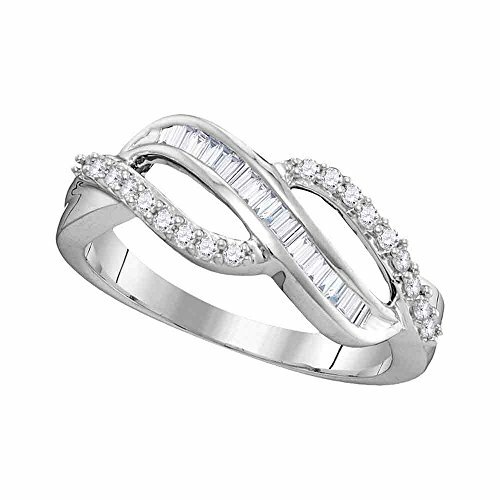 Diamond Fashion Band Solid 10k White Gold Cocktail Ring Infinity Style Round Baguette Fancy 1/4 ctw.